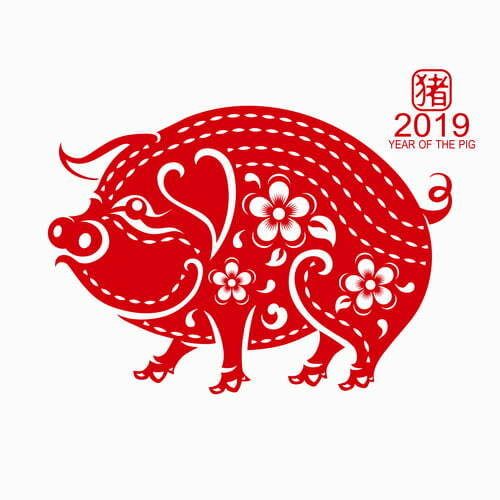 In rolls the new year, and along with that comes the long-awaited Chinese New Year! 新年快乐, 万事如意! To complement this auspicious traditional festival, this blog post will be all about the one medium of art that really represents the chinese tradition: Ink Painting. We’ll be talking all about how to get started and what chinese ink painting is all about! Perhaps you’ve tried oil painting, or even acrylic painting, but just a disclaimer: ink painting is nothing like those. Ink painting is more similar to watercolour, and the key to it lies in the poetic feeling it is meant to achieve. The ratio between water and ink is what’s most important here. Colour is not the main focus as most chinese ink paintings are monochromatic, with the occasional splash of colour used to highlight or emphasise. Most monochromatic paintings are about calm scenery such as mountains or bodies of water, while more advanced ones are about animals such as birds or fish. Remember when we mentioned the ratio between water and ink? The traditional rice paper used in these ink paintings also play a huge part in the whole operation. Dry or wet, diluted or concentrated, the different ratios of water to ink on the specialised paper give life to the painting. Chinese ink painting also focuses on giving the viewer just a hint of what the subject may be, enough to be able to tell but lacking in detail or even a complete silhouette, allowing the viewer’s imagination to flow and fill in the blanks for themselves. All these combine together to highlight the poetic nature of an ideal chinese ink painting. 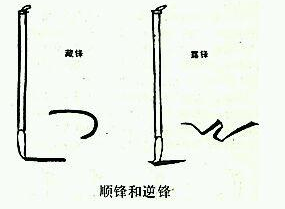 (毛)笔：The chinese brush, usually made of animal fur (that of sheep or wolves). 墨：Traditionally, the black ink used comes from ink sticks that require grinding, but in this modern day and age we can just buy liquid ink from local art stores. (宣)纸：Rice paper, may be unprocessed, half processed or processed, determining how well ink is absorbed into the fibre of the paper, as well as the stiffness of the paper itself. Unprocessed papers are very absorbent and quite malleable, whereas processed papers are less absorbent and stiffer. 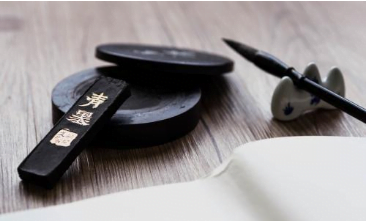 砚(台)：The ink stone is used to grind the ink stick into powder, which is then mixed with water in a well in the inkstone in order to produce usable ink for calligraphy. This technique is lesser used now with the advent of bottled liquid ink. 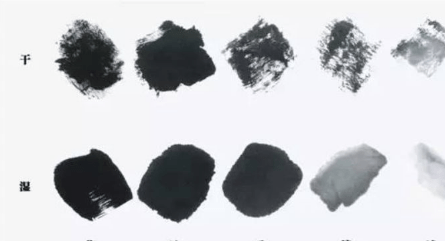 The five tones of ink (墨分五色): Pure ink (焦), concentrated (浓), diluted (淡), dry (干), wet (湿). There is a specific way to hold the brush as well, so make sure you look out for that! Holding the brush at a higher spot results in weaker and softer stroke, while holding it closer to the bristles creates solid and more defined strokes. Finally we move on to techniques, perhaps the most awaited part of this blog for those looking to start ink painting. For outlining anything, the best way to do it would be to hold the brush perpendicular to the paper and paint with the tip of bristle. When painting strokes, the usual directions would be from up to down and left to right. Slant the brush to one side for larger areas or blocking in shapes. That’s about it for our introduction of ink painting! Now you’re all set to start your journey of chinese ink and paint something auspicious and beautiful for your loved ones this Chinese New Year! If you want an opportunity to bond with your colleagues over this holiday for a change, we offer ink painting for Art Jamming (team bonding through art) at the Visual Arts Centre as well! Contact us at info@visualartscentre.sg for any enquiries or give us a call at 6255 0711/ 6733 2155. And again, happy Chinese New Year!